When your freezer breaks down, you need help in a hurry. This is one of those appliances you cannot afford to go long without. You will be happy to know we offer quality freezer repair in Fair Lawn, New Jersey. 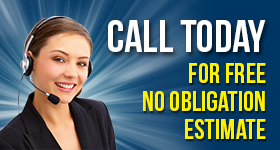 Our experienced specialists will rush out to your location the same day you call. We provide outstanding results at a competitive rate. You can enlist our help to service any make or model. We have the skills and training to administer effective service on any brand. We are the company to call when you need residential or commercial freezer repair. Our experts are devoted to repairing your freezers quickly and efficiently. The outstanding service we provide begins at our office. Every morning we stock our service trucks with all the spare parts we will need for that day. You could say we are serving you long before we arrive at your location. We carry the right parts to fix your icemakers as well. The value of experience cannot be underestimated. Our techs have been working in the trenches for many years. 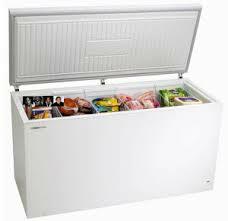 We have gained a great deal of knowledge about various freezer brands over that time. Our specialists are prepared to confront all types of freezer repairs. We can replace a thermostat or compressor. We can clean the coils or replace seals and hinges. You name it and our experts can do it. When you choose Appliance Repair Fair Lawn, you get an experienced company that cares. If your freezer quits working right, your food could eventually spoil. You want outstanding service for your freezers and you deserve nothing less. Our trained techs will give your freezer the attention it needs. We pay strict attention to every detail. Make the choice that will work best for you. Choose us to administer your Fair Lawn freezer repair.